I adore this super quirky couple! I met Mandi a few years ago when she interned for me at my former job. 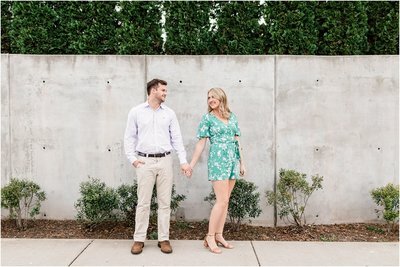 I always thought the world of her and she trusted me to shoot her engagement photos with her fiancé, sound engineer Logan. Both of them love music, dogs and the outdoors. I think on any given weekend you would likely find them out on a trail, hiking with their two golden retrievers, Marshall and Lennon. They love nature so much that they were married outdoors in the mountains in Canada.